Herstaco B.V. is one of Europe’s largest stockists of first choice and downgraded, second choice steel pipes. Herstaco is a family business, specialized in the outside diameter range of 168 to 2.500 mm, in various wall thicknesses. Herstaco is also an expert in delivering added value services to its customers, such as performing welding and construction activities. The company was founded in 1967 by Mr. Paul Hermsen and since then developed into one of Europe’s leading stockists of steel pipes. 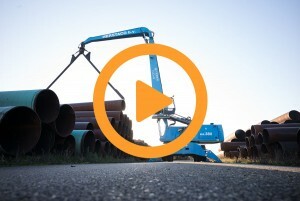 The Sealand (Zeeland) steel pipes specialist built the company into a leading international supplier in Europe, serving its customers well and fast, delivering quality and providing additional value services to its customers. Herstaco is well known and has a strong network among its customers, suppliers and various partner companies. Herstaco speaks your language, and you can count on appropriate solutions. Herstaco is located in Middelburg, Holland. This location is strategic for its customers near the ports of Flushing (Vlissingen), Rotterdam and Antwerp. Herstaco is a reliable and trustworthy supplier of steel pipes. Also Herstaco Tube Welding, its welding company, is well-known and delivers a constant level of quality. Of course, you are free to send in your own specialist.